Following the release of their fourth full-length album, 'End Of The Circle', Comrade Aleks seeks out Georgian duo Ennui to find out more about the band. Vocalist and co-instrumentalist David Unsaved answers his questions. 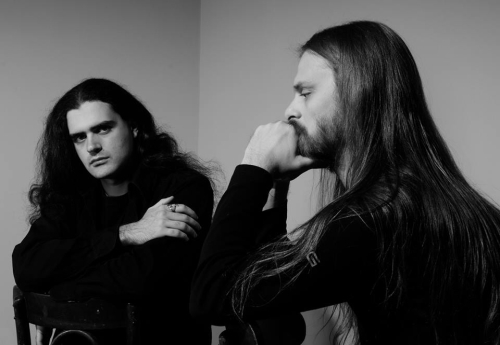 "Founded in 2012, Ennui soon became one of the most notable new bands of the obscure Funeral Doom scene. 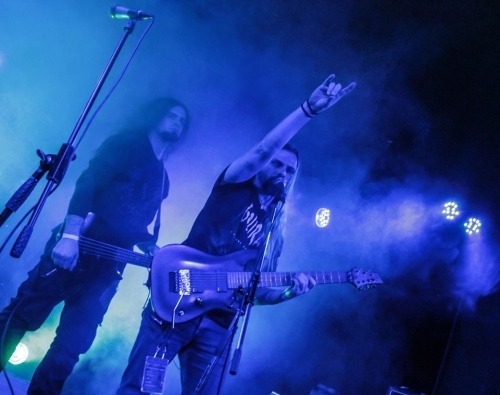 As the only band of that kind from their region (Georgia, Caucasus), the duo of David Unsaved (guitars, keyboards, vocals) and Serj Shengelia (guitars, keyboards) recorded two albums - 'Mze Ukunisa' (2012) and 'The Last Way' (2013) - featuring lyrics written in Georgian. True, it's hardly recognizable through David's deep growls, but it's a nice idea anyway. 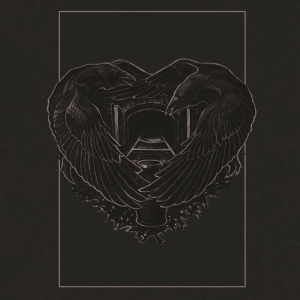 In September 2018, Ennui returned with their massive fourth album 'End Of The Circle', recorded by David and Serj with extreme US Metal drummer John Devos. This time Ennui have a special kind of concept: something new, at least, for their followers. I believe that David can explain it better than I, and considering the fact I'd skipped Ennui's third album, 'Falsvs Anno Domini', we have a few more things to discuss besides." Talking to Aleks today: Ennui's David Unsaved. Hi David! How are you? What's going on in Ennui? Hello! All is good, thanks! Ennui finally released it's new album on September 5th. So far this is the most important news about the band. For now, I guess we're already ready to think about some live shows. 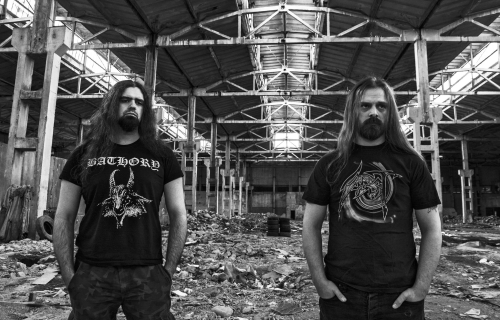 The band's previous album 'Falsvs Anno Domini' was released in 2015 through Solitude Productions. 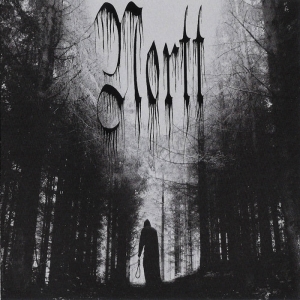 The album shows metamorphoses in Ennui's sound, with some moves to a Death Doom sound. How natural were these changes? Yes, that's right. Falsvs Anno Domini is pretty much a heavy album. We did it on purpose because of bitter lyrical conception. As far as you know, this album has some anti-clerical themes, and we decided that the music also should be heavier, closer to death/doom metal sound. I cannot say that this experiment satisfied the taste of absolutely all the target audience, because many people like doom metal just for the melancholic mood and sometimes soft sound. But the European side of the doom listeners enjoyed this album quite well. 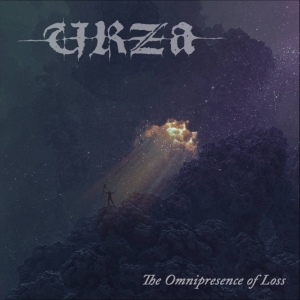 'Mze Ukunisa' and 'The Last Way' are the albums which gained Ennui initial recognition, and it seems that with 'Falsvs Anno Domini' you reached a wider audience, due to the updated sound, new label and participation of Daniel Neagoe on this record. How do you value your progress with this album considering the band's promotion? As I say, Falsvs Anno Domini was mostly some kind of experiment of mixing two fundamental genres. Sure, this album was definitely different from the two previous ones. The sound and heaviness of the aggressive songs at the time corresponded to our mood for that period. Probably the progress is rather that our songs have become more technical. Daniel valiantly agreed to help us with the production and we are very grateful of him, he obviously worked very hard. By the way, in addition to Daniel, we invited members from bands like Esoteric, Evoken, Colosseum. It never happened before. I think it's cool. Early days - the band in 2013: David Unsaved (Vocals, Guitars, Keyboards) and Serj Shengelia (Guitars, Keyboards). And what about your progress as a music writer and music performer? To date, we have recorded a new album following all the canons and rules, there is an obvious difference in production, performance of songs and overall submission of the album. I think that this is our progress. We have done a very difficult work, as well as a sound engineer also. Despite the fact that the sound of the new material is still closer in spirit to the first two albums, I do not think this is a step backwards, it is rather a rethinking of what was said before, but in the form of creation of absolutely new music that we did not write before. Also I would say that here is a certain minimalism in our new songs, but I regard this as progress also. As I understand it, you used Georgian lyrics for just one song on 'Falsvs Anno Domini', why so? Did you decide that it's all the same when you use growling vocals? Ennui's fourth album, 'End Of The Circle' should be out on September 5th through Non Serviam Records - first of all, how did you get on the label? This label contacted us in 2016 and announced its interest. But for that period we were very busy preparing for the Doom Metal Festival in Moscow. During the year of communication with Ricardo (founder of Non Serviam Records), we agreed to cooperate. To tell you the truth, this is their first experience of working with a doom metal band for NSR, since basically it works with black metal and death metal bands. But we were very interested in how our album will be perceived by a wider audience. I hope the results will meet our expectations. By the way, Ricardo supports the music itself, this is a very important approach to this business. In general, we are very satisfied with the cooperation. This time drums were recorded by John Devos: how did you meet him? How did your collaboration start? John is our good friend and colleague in funeral doom metal. 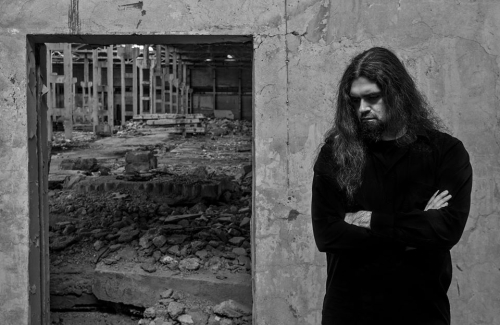 He also plays in the funeral doom band Mesmur (USA). We met him 3 years ago when we had in plans to make split album with Mesmur. He agreed to play on drums for 2 songs which we were going to prepare for split album. But because of some objective reasons we postponed this release. Mesmur started working on their full-length album, also we had some another plans. So, in the beginning of 2018 when we faced some issues with drums for End of the Circle - John instantly agreed to help us, although he was extremely busy with his actual bands. But he provided very awesome, very high-skilled performance regarding drums for Ennui. We are infinitely grateful to him. He totally saved this album in shortest schedules. Hail John!! The album is innovative for the band in some ways; firstly, it consists of three tracks - the title song has a duration of 32 minutes, and The Withering Parts I and II are 20 minutes each! What's the concept behind the album? Yes, this is a conceptual album. It's based on philosophical questions about the meaning of our life. The lyric title of the album is a kind of aporia, a paradox of doom and despair. All of our being is enclosed in a certain cycle of existence, the whirl of life and death, when life ends in death, and when death gives rise to another life. We decided to give the listener an opportunity to think about the fact that infinity is still finite and there is possibility when ALL will come to the End. When even the dead will die and even the darkness itself will become blind, when the circles of being will break. But curiously, there is a hint of an "anthropic principle": infinity will die, only when you die yourself and be no longer able to observe it or think about it. The other two songs are reflecting each other. The Withering Part I tells about us, about how senseless and vain is our experience, how empty are our principles and vital positions, and finally, it's about the fact that we all will die before our light will reach the nearest part of Endless Universe. The second song, The Withering Part II on the contrary, tells us about the celestial light of stars which also died a long time after their blinks have reached our life... possibly disappeared worlds, unspoken words and forever lost meaning of life. Was it more difficult to record such big compositions at the studio? Did you face any problems recording these songs? Well, each of our albums is a new experience. And the experience appears during certain difficulties. We faced some issues, mostly technical ones while working on this album. But it seems to me that this is an ordinary creative process. I hope that in the future we will have more opportunities to work on the production and we will be able to reach an even higher level and expand our capabilities. Time will tell. How do you see the ideal guitar sound for Ennui? Did you and Serge use any new equipment specially for this album? The ideal sound depends more on the nature of the songs themselves, I mean the overall atmosphere of each album. I think that the sound of the new album is just another step forward. In the future, we will already work in this direction and develop our skills further. Obtained experience, reached goals, of course provides for moving forward and revealing new abilities. Yes, we used special equipment for this album and also, there was an unusual way of solo guitar recordings, but maybe most importantly - we completely refused to use the artificial and synthetic sound software and obtained this result using analogue and real equipment. With 'Falsvs Anno Domini' and now 'End Of The Circle', do you feel yourself closer to the worldwide Doom community? How important is it to be heard abroad? Yes, definitely we feel closer to the worldwide doom metal community, especially living in Georgia, where is no doom metal at all. By the way, doom metal is the universal language of all countries and continents and we are very glad that there are people we have never seen, but who really love our music. So far, we are not a significant part of world doom metal yet, but I hope that we still have everything ahead. Do you have any plans for touring in Europe this time, to support the 'End Of The Circle' release? Maybe you already have a schedule? After we have finished releasing a new album we want to thoroughly search for live musicians to play live in Georgia and abroad. So far, it's a slow process, because it is very difficult to find decent musicians here in Georgia, where interest for this genre is sadly the lowest. But we will do our best to go on with this plan and prepare for the tour over European countries. Interviewed on 2018-09-23 by Comrade Aleks Evdokimov.